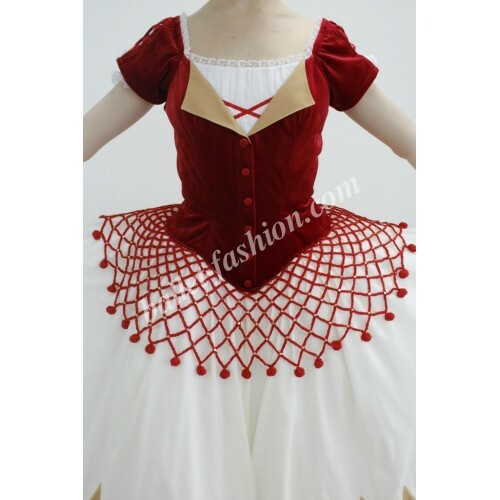 It is a professional stage costume, which is made on the basis of the romantic tutu skirt. 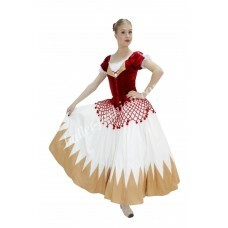 The bodice is made of the velvet fabric with a decorative lacing in front. 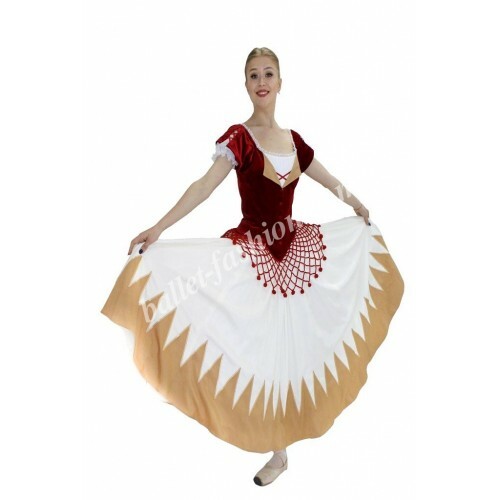 It has white chiffon insert as the imitation of blouse. Bodice is decorated with velvet buttons. 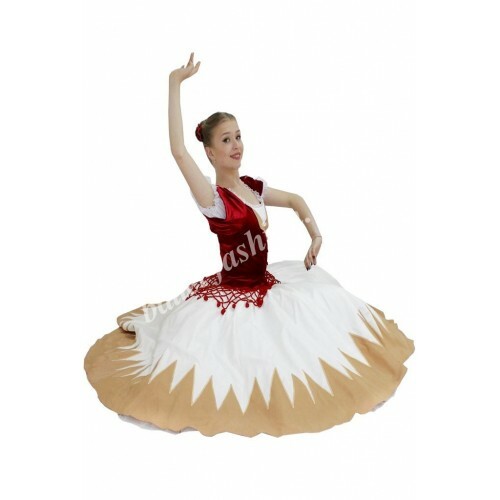 Wide skirt is made of two layers of rigid tulle, 4 layers of soft tulle and the top layer is made of satin on the matte side. Net overlay knitted from yarn in the color of bodice and decorated with gold sequins. Costume created especially for the role of Paquita in "Paquita" ballet. You can choose any color combination you like.